As business owners, we like to think we can learn any talent it takes to run our companies better. Bookkeeping is a skill that doesn’t come easy to every business owner though. Some will learn the skills effortlessly and others will work at developing the skills for years and still only be considered average. You may be a successful business owner with a multitude of skills, but if bookkeeping is one of your weakest links, you should probably hire a bookkeeper to help you out. There’s no getting around having to manage all the paperwork that comes with running a business. But for a lot of entrepreneurs, there eventually comes a time when you have no choice but to invest in a bookkeeper. 1. They will have education and qualifications. If you want your bookkeeper to have payroll responsibilities, you will want someone who has at least a minimum certification level for bookkeeping. Ask if they’re doing any continuing education with additional classes or self-study. This will show their commitment to enhancing their skills and staying up to date. Your bookkeeper must also have a basic understanding of bookkeeping/accounting terms. They should have a basic understanding of the difference between the five basic types of accounts (assets, liabilities, equity, income and expenses). 2. They will have experience and references. Education and training are important, but there is no substitute for experience. And even better, they should have experience with businesses in your particular area of business. Certain industries call for specialist knowledge and an understanding of the particular issues involved. Also ask for references from your bookkeeper from other businesses they’ve worked with who can comment on their technical skills and proficiency. These companies will know how much or how little time they had to spend cleaning up the bookkeeper’s work at year end. Check that the candidate has had good working relationships with these businesses. 3. They must be detail oriented. You need a bookkeeper who’s going to be able to focus on the little things: This will enable the big things to take care of themselves. You want someone you don’t have to babysit; they need to be able to take charge and take care of all the little things that need attention when it comes to your basic financial operations. It is one of those essential traits that a good bookkeeper should have and you should be looking for. Detail-oriented bookkeepers have the level of accuracy and precision that the work requires. Being thorough in your documentation is critical to accurately reporting your financial information. 4. They have great analytical skills. The other essential trait you’re looking for is their analytical skills. Once your detail-oriented bookkeeper organizes the information, they now need to analyze it. Part of their job is reviewing and deciphering this information to help you make important business decisions. 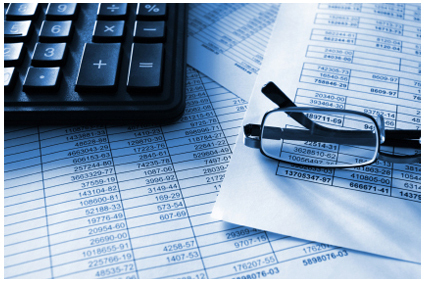 Analysis of financial documents is vital and an experienced bookkeeper will be able to do this well. 5. They have excellent time management skills. A good bookkeeper knows how to organize their time for optimum results. They should be able to prioritize, allow time to focus on problems and solutions, and schedule frequent reviews and updates with you. If they have good time management, they will be proactive and complete tasks with a deadline such as monthly financial reports, budgets, claims, etc. And if problems arise, you need to know that your bookkeeper will inform you in time to do something about them. It doesn’t do you much good if you need to be constantly checking up on your bookkeeper because they don’t have the time management skills required for the job. 6. They must have a basic understanding of your industry. While this is something that can be learned, you’ll be miles ahead on the learning curve if the person you hire has a general understanding of your industry. And while bookkeeping for a retail store, hair salon, or internet service business have a lot of the same basic bookkeeping fundamentals, it’s not exactly the same. Each industry has different terms and insider aspects that can only be learned on the job, so be sure to look for someone with experience in your industry. He or she will take the time to really understand your business and how you operate so they can make sure that the processes are as simple and efficient as possible. They may be able to see areas that can be streamlined in your small business. Many business owners find questions annoying. However, in order to ensure transactions are correctly allocated, it is better that your bookkeeper ask questions rather than guess. For example, if a bookkeeper allocated computer purchases to Computer Equipment in the balance sheet rather than hardware purchases, it is going to affect your business’ bottom line. For months you may think your profit figures were really great when really they are not categorized correctly. If the bookkeeper had asked about the purchase in the first place, this mishap could have been avoided. 8. They must have good communication skills. Along with asking questions is communication in general. If your bookkeeper doesn’t understand something, they’ve got to be willing to ask for clarification or help. Communication is critical so that you’ll have a good understanding of what’s taking place in the office without you having to be the one doing the day-to-day work. This isn’t something that is normally associated with people who talk of debits and credits, but the best bookkeepers are more than silent number crunchers. Unless you already know the ins and outs of the finances of your business, you are relying on your bookkeeper to relay this information in a manner that you’ll understand. You should be making business decisions based on your finances and you must have a bookkeeper that can communicate this information so that it’s useful and meaningful to you. 9. They must be computer literate. The days of doing things by hand are long gone. You must have a computerized bookkeeping system to be able to get quality reports. Your bookkeeper should not only know the basics of your bookkeeping software but should also be familiar with Word, Excel, e-mail, and the internet. Today’s bookkeeping is automated, even for the smallest of businesses. So it doesn’t make sense to partner with someone who is not technologically inclined. Bookkeeping software allows for much simpler, faster, and more sophisticated analysis of your company’s information. It will also improve the productivity and performance of your bookkeeper’s work. The right bookkeeper will have the skills to accomplish this. 10. They must have trust and security. You are sharing sensitive financial information so client confidentiality is crucial. It only makes sense that you trust the person you’re handing over confidential numbers and bank account information to. The relationship between a client and a bookkeeper is sacred. Most people won’t share their financial details with friends or even family, yet this person is privy to everything – especially if you are using one account for business and personal but that’s another article altogether. Make sure you like your bookkeeper, that you trust them and feel comfortable being completely honest with them. Your bookkeeper cannot help you get the most out of your accounts if you are not being completely transparent with them. If you want your company to truly function in a profitable way, it’s important that you set expectations for your bookkeeper before you bring them on board. Good financial records are fundamental to the success of your business. If you can’t rely on your books–or your bookkeeper–then how are you going to know where your business is headed? Set these expectations for your bookkeeper so they’ll be an effective part of your team. You’ll be setting your business up for success.